Romantic poet, novelist, playwright, and philosopher. Born in 1812 in Paris, died there in 1859. A romantic poet, novelist, playwright, and philosopher;in order to escape his father's domineering influence, he went abroad and lived the majority of his life as an expatriate. Krasiński studied law in Warsaw. In 1829 he departed for Geneva. From then on, he continued to live abroad, dividing his time primarily between Italy and France. In Geneva he met Adam Mickiewicz, who ultimately proved to have a strong influence on Krasiński's subsequent intellectual development. He engaged in serious studies of European literature and philosophy, developing his own views under the influence of such thinkers as Pierre-Simon Ballanche, Joseph de Maistre, Jules Michelet, Johann Gotfried Herder, Friedrich Wilhelm von Schelling. Among Polish authors, August Cieszkowski turned out, alongside Mickiewicz, to possess a mind most kindred to Krasiński's in terms of worldview. Krasiński recorded his impressions from and reflections on readings of Cieszkowski's works in his correspondence to family and friends. Krasiński was wealthy and financially independent, rendering his life different from that of a majority of émigré writers. As the bearer of a ducal title, he was a member of the international aristocracy. The most dramatic realms of his life were those associated with his father, Wincenty Krasiński, who was first one of Napoleon's generals and later became a loyal subject of the Russian Tsar. The poet rebelled at this move and chose to flee his father's influence, never quite escaping entirely. For instance, Krasiński abandoned his studies of the law when he was boycotted by his peers for refusing to participate in a public demonstration, something he did under pressure from his father. Krasiński ultimately chose to live abroad in an effort to escape the plans his father had laid for him, which would have made the writer a diplomat in the tsar's service. His father continued to interfere in Krasiński's personal life, breaking up his romantic affairs and ordering the writer to wed. Krasiński's own views differed markedly from those of his father. Nevertheless, his writing forever contained a feudal motif - the leading role of the aristocracy in the development of public life - that was indubitably a relic of his family heritage. In a period of the rise of programs of social reform and political moods that tended towards the radical, Krasiński was a staunch conservative, an enemy of revolution and of all manner of armed insurgency, even in the name of national independence. Krasiński is traditionally considered part of Poland's "trinity of poets," a trio of prophetic writers whose reflections on the history of humankind and the nation were simultaneously akin to predictions of the direction history would take, and therefore considered visions of the future. Like Mickiewicz and Słowacki, Krasiński saw history as a gradual process moving towards the realization of a transcendental aim - the building of the Kingdom of God on earth. Basic tenets of Krasiński's philosophy consisted of the acceptance of God as both a transcendental, personalized being and as Providence, which is embodied in history as its law of development. According to his philosophy, humanity is lead in its quest towards ultimate objectives by the Polish nation, made worthy of this role by its past and its suffering. The Polish nation, in turn, is lead by old noble families, who embody the most elevated of traditions. In its most mature form, Krasiński's "messianism" is a conservative version of Romantic philosophy. Krasiński made his first attempts at literature while still in Warsaw. Shortly after emigrating, as a youth of some twenty years, he wrote and anonymously published his two most outstanding dramatic works: Nie-Boska komedia / The Un-divine Comedy (1835) and Irydion (1836). The Un-divine Comedy is an outstanding example of Romantic, metaphysical drama. In the play, earthly reality intertwines with the sacral realm, the order of the real interferes with Providence, and historicism is combined with morality play. As in Mickiewicz's Dziady / Forefather's Eve, the protagonist's story is divided into stages, the first focusing on his private life (parts I and II) and the second consisting largely of public service (parts III and IV). However, in contrast to Mickiewicz's Gustav-Konrad, both incarnations of Krasiński's protagonist in The Un-divine Comedy - the Husband and Count Henry - embody falsity and erroneous motivation, and neither can be said to be objectively in the right. As the Husband and poet, the hero disdains family life, neglecting his young, visionary son and his wife, who he ultimately drives to insanity and death. He is the embodiment of conceit and egotism, the worst possible version of Romantic individualism and poetry that transforms real suffering into literature. He is punished when a tragedy occurs in the family; he is brought onto the righteous path of Evangelical love and service to humankind by the voice of the Guardian Angel. However, he proves incapable of committing a tragic error on this path as well: he takes up arms as the leader of the defenders of the Trenches of the Holy Trinity without abandoning his former vanity and lust for fame. Parts III and IV of the play depict Krasiński's vision of revolution. He posits the clash of two camps: on one hand the aristocratic that honors tradition and Christian values, and the democratic and atheistic on the other. Both camps are presented as incapable of creatively shaping reality. The aristocracy has shrunk and lost site of its former ideals. The democrats are a dark and destructive crowd that is lead by fanatics and professional revolutionaries. The scenes in which Count Henry wanders through the revolutionary camp evoke images of Dante's inferno combined with the darkest visions of Jacobean terror. The play's climactic scene is a great polemic between two ideological foes: the Count, a defender of the old order, and Pankracy, the leader of the revolutionaries, who believes that paradise can be built upon the ruins of a world destroyed. Ultimately, both sides suffer defeat. The revolution proves victorious, but Pankracy is pursued by terrible doubts. Ultimately, he is paralyzed by a vision of Christ the Avenger and dies crying "Galilae vicisti" (Galilean, you have won). Krasiński seems to say that in historical reality neither side can be fully in the right. Righteousness resides solely in the divine dimension, and it can be brought into the world by none other than Providence and the forces aligned with it. Man caught up in history is always a tragic figure, condemned to be imperfect and make the wrong choices. The Un-divine Comedy is written with skill and flamboyance: multiple dimensions, historical and symbolic figures, and group scenes intertwine with realism, pathos, and the burlesque, as well as with ideological plurality. All this elicited the interest of Krasiński's contemporaries. Mickiewicz devoted much attention to this work in his Course in Slavic Literatures. Though he did not agree with many of Krasiński's views, he nevertheless viewed the work as one of the greatest dramas of the Romantic era. Irydion is equally rich and multi-dimensioned. The title character lives in changing historical times near the fall of the Roman Empire in the 3rd century A.D. Old Roman culture is on the decline with barbarians encroaching upon it, Christianity is on the rise. Irydion, a Greek motivated by hate for the Romans and wanting to exact revenge for the sufferings inflicted on his own country, attempts to interfere in this chaotic world. His patriotic feelings are noble, however, based on these he defines his own ethical values and ultimately winds up selling his soul to the devil. Irydion ultimately suffers defeat, among other things because he fails to convince the Christians to join him in his endeavors, the Christians choosing the path of Evangelical love and martyrdom instead. In Irydion, much like in The Un-divine Comedy, tragically imperfect and biased historical prerogatives are contrasted against the truth and righteousness inherent in Providence. Irydion awakes in the 19th century within the arena of the Coliseum, the place of the Christians' martyrdom. There, he witnesses a battle between the Angel and Satan for his own soul. He is directed onto his subsequent path by the voice of Providence, which sends him to suffering Poland, so that through martyrdom and death he might achieve redemption. The historical novel Agaj-Han, inspired by the author's romantic fascination for the Orient, was another of Krasiński's youthful works. He based the novel on the true story of Maryna Mniszkówna, a Polish noblewoman and wife of two sequential False Dmitris. The title character is a man of the East, who falls passionately in love with Maryna. Krasiński used rhythmic prose and exceptionally colorful, expressive language in representing historical cataclysms, the fatal destinies of his heroes and their often wild and raging emotions. The stylistic originality of his works guaranteed them a permanent place in the annals of the Polish historical novel. Krasiński the poet authored many poems that were not especially distinguishable against the abundance of poetry of the age. His philosophical and political poetry, however, did elicit significant interest and were the reason for many a public debate in Polish intellectual life. In these later works, the tragic, historical fatalism of his early dramas was replaced with a mature messianism and belief in Christian Providence. His most outstanding works of this type include Trzy myśli pozostałe po sp. Henryku Ligenzie zmarłym w Morreale 12 kwietnia 1840 r. / Three Thoughts Left After Henryk Ligenza, Deceased at Morreale on April 12, 1840 (published in 1840). In this work Krasiński drew on the mechanism of the "found manuscript" that was so fashionable at the time. In the work, the manuscript in question is found by the Sarmatian nobleman Mielikowski, who proceeds to write an introduction to it prior to its publication. The "found manuscript" itself consists of a verse poem titled Syn cieniów / Son of The Shadows and two prose poems, Sen Cezary / The Dream of Cezara and Legenda / Legend. All three proclaim death to be the destiny of humanity, the nation, and man, a death that precedes resurrection into the Kingdom of God. The Son of the Shadows, the first of the trilogy, is a historical and philosophical poem about the maturing of the human soul on its path towards perfection. The Dream provides the vision of a nation that follows Christ into the grave only to emerge victorious from the grave with Him, having overcome death. Legend in turn depicts the end of the world, awaited by the nations in Saint Peter's Basilica. Among others, Mickiewicz and Norwid in particular expressed their admiration for this work. 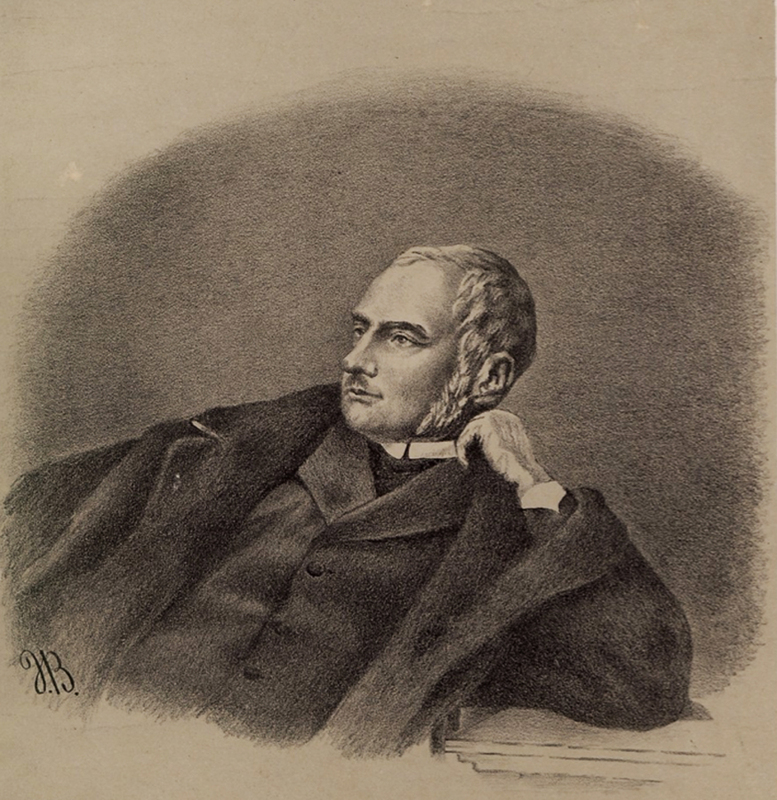 Krasiński explores similar themes in the treatise O stanowisku Polski z bożych i ludzkich względów / On the Status of Poland in the Divine and Human Regards (never published during the poet's lifetime) and the epic poem Resurecturis (published in 1851). Krasiński offers a full elucidation of his messianism in the epic poem Przedświt / Predawn (anonymous edition in 1843). In this work, philosophical theme combine with a love story: the narrator, an exile, spends his days in relative contentment within an ideal landscape with an ideal woman (echoes of the author's romance with Delfina Potocka) before experiencing a mystical vision of Poland's destiny. Divine Providence has willed that this suffering nation will lead humanity to the realization of the religious ideal within the world of politics, to a spiritual resurrection. His conversations with the ghosts of great forebears, and especially with the ghost of Hetman Stefan Czarniecki, are designed to persuade readers that only the nobility can lead the chosen nation, a nobility made worthy by its past achievements and capable of carrying its spiritual values into the future. Krasiński's nation- and class-based messianism elicited repeated protests from Slowacki. The publication of the Psalmy przyszłości / Psalms of the Future caused the two visionaries to enter into a real poetic duel. Krasiński published the Psalm wiary / Psalm of Faith, Psalm nadziei / Psalm of Hope and Psalm miłości / Psalm of Love in 1845. The first of these reiterated the author's vision of Poland's messianic destiny, the second announced rapid and universal changes, while the third offered an argument against revolutionary ideology and called for national solidarity. Słowacki focused his reaction on the third. In his Odpowiedź na Psalmy przyszłości / Response to the Psalms of the Future, Slowacki condemned as unjustified the poet-aristocrat's fear of the people and his glorification of the aristocracy. History would strongly influence the next stages of the dispute. Following the so-called "Galician Slaughter," when peasants took up arms against the nobility, Krasiński published Psalm żalu / The Psalm of Sorrow and Psalm dobrej woli / The Psalm of Good Will. In this work Krasiński expressed bitter satisfaction at the fact that reality had declared him right and turned to God with a request that he allow solidarity and brotherly love to prevail. This literary duel between the two messianic authors elicited a significant public response. Their contrasting visions became symbolic of the conservative and democratic camps, and for years their phrases were repeated during political debates ("z szlachtą polska polski lud" / "the Polish people with the Polish nobility," "Duch - wieczny rewolucjonista" / "The Spirit - an eternal revolutionary"). As a writer, philosopher, and ideologue Krasiński played an important role in Polish intellectual life and retains a significant place in national culture and its history. His dramas remain alive today and are included in the repertoires of many theatres. The Un-divine Comedy is particularly rich and contains multiple meanings, offering stage directors multiple possibilities at interpretation. Contemporary theatres also offer the technical means required to stage the work. Krasiński's works have been translated into many foreign languages. This is particularly true of The Un-divine Comedy, which has been translated into more than a dozen tongues. The work has been staged in Prague, Budapest, and Vienna, among many other cities. The most important Polish stagings have been mounted by the likes of Arnold Szyfman (Warsaw 1920), Leon Schiller (Warsaw 1926, Lodz 1938), Bohdan Korzeniewski (Warsaw 1959), Konrad Swinarski (Krakow 1965), Adam Hanuszkiewicz (Warsaw 1969), Jerzy Grzegorzewski (Warsaw 2002). Music for productions of the play has been composed by outstanding composers like Ludomir Różycki, Jan Maklakiewicz, Grażyna Bacewicz, Krzysztof Penderecki. There were also many interesting theatrical stagings of Irydion (among them, productions in Krakow in 1902, Warsaw in 1913, Krakow in 1958, Warsaw in 1966, and Łódź in 1970). The former Krasiński family estate in Opinogóra is currently home to the Museum of Romanticism. Author: Halina Floryńska-Lalewicz, Polish scholar, social scientist, January 2004.